David Beckham is one of the most recognisable faces on the planet. 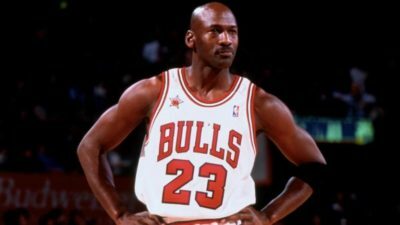 He began his career as a footballer, winning the league title in four countries: England (Manchester United), Spain (Real Madrid), France (Paris St Germain) and the United States (LA Galaxy). His most iconic performances came in a Man Utd shirt, where he won the Premier League six times, the FA Cup twice and the Champions League in 1999. He later went on to model for Calvin Klein (much to the delight of female fans! ), and set up several lucrative businesses and endorsements. He and wife Victoria married in 1999 and the pair now have four children – together the couple have created a profitable brand around their name, alongside supporting several charitable foundations and acting as UNICEF ambassadors. David Beckham is probably one of the few men on the planet who can pull off that amount of tattoos and still look good. One particularly racy inking that you might not have spotted is a portrait of his wife Victoria, who is depicted lying on her back in her underwear. She is surrounded by stars and is raising her knees in a very suggestive pose. 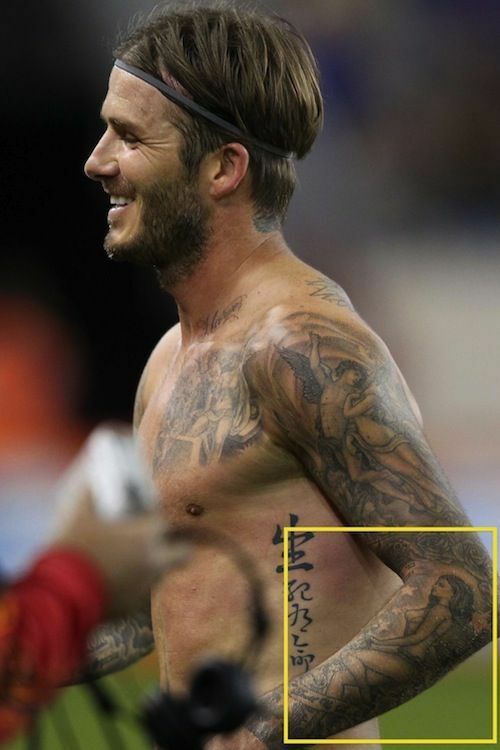 Aside from his tattoo of Victoria, it’s currently estimated that Beckham has around 40 inkings on his body, ranging from his own kid’s names to the number 23, the jersey number which he famously wore at Real Madrid. David has managed to amass a huge personal fortune, thanks in large part to the many endorsements he receives from companies such as Breitling Watches and Haig Club Whiskey. 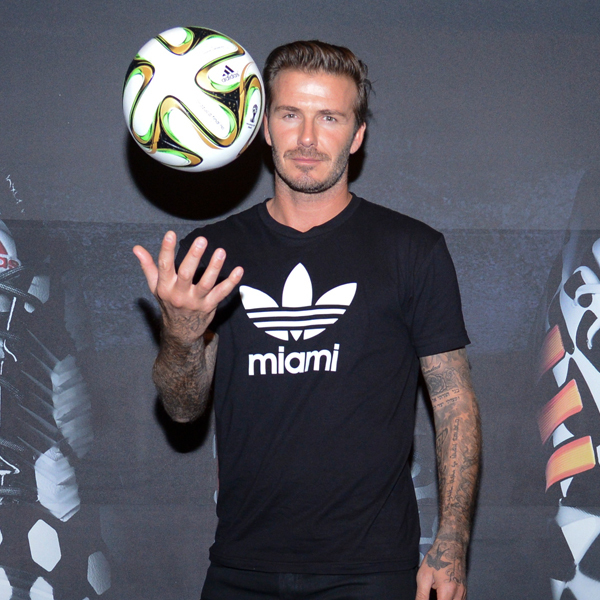 However, far and away his most profitable sponsorship deal comes from sportswear company Adidas. 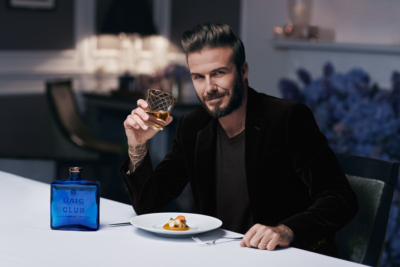 The German manufacturer decided that Beckham was so important to them that they handed him a lifetime contract worth around $160 million. That’s a lot of confidence placed in the former Manchester United star, but we think they made the right choice! 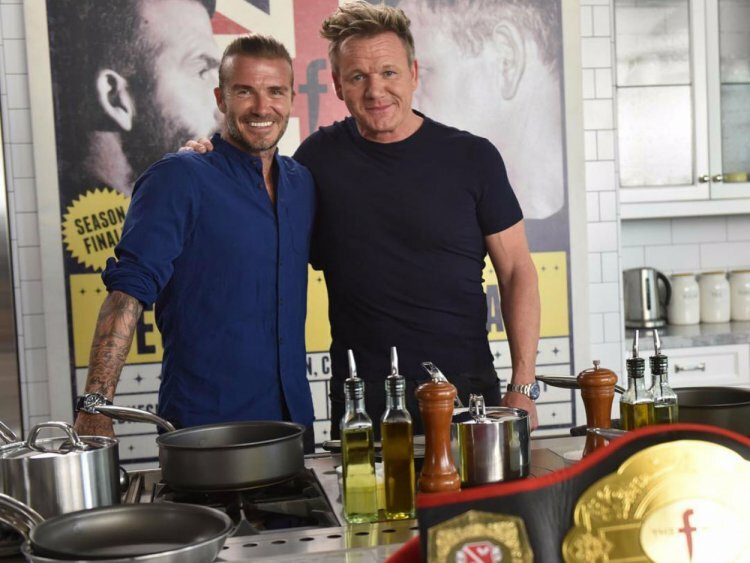 David has previously stated that he loves cooking and his signature dish is a tasty risotto. Whilst Beckham obviously has to maintain his athletic physique, like the average Joe on the street he’s not averse to indulging in some calorific food from time to time. In fact, his favourite meal is pie and mash! He also enjoys drinking red wine, but only in moderation. We wonder what close friend and celebrity chef Gordon Ramsay would make of David’s preference for pie and mash! Poor David was often mocked in the early days of his fame for his rather squeaky and high-pitched voice. While he still doesn’t exactly sound like Roger Moore, that distinctive way of speaking has noticeably decreased over the years, a fact which is actually down to years of voice coaching. 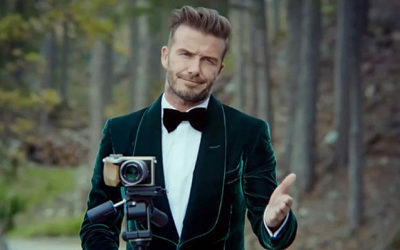 Beckham and his wife hired a voice coach to give him elocution lessons that deepened his voice and generally made him talk more eloquently. For example, he now pronounces the “H” at the beginning of words. 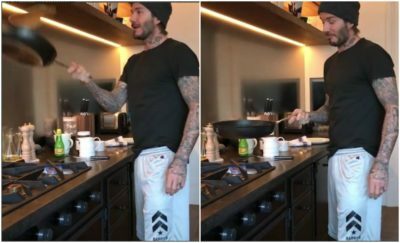 We’re usually too busy staring to notice what he’s actually saying anyway, but fair enough – if you’re married to Posh Spice you should probably know how to speak properly. 7. 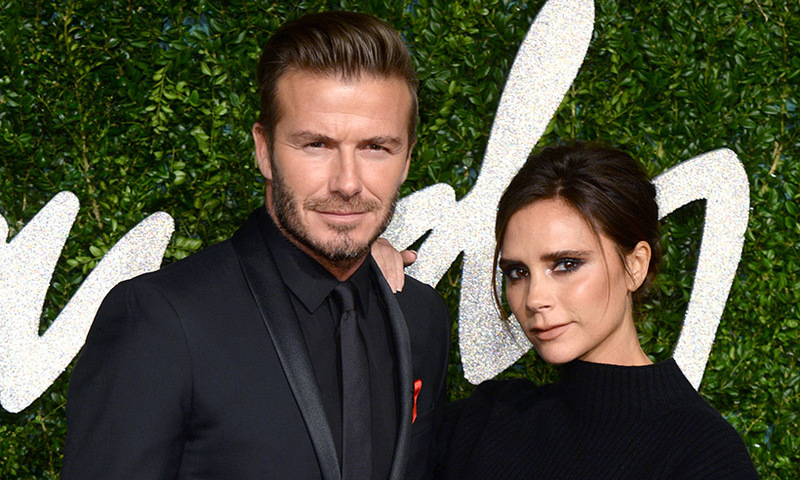 Beckham still wants more children! 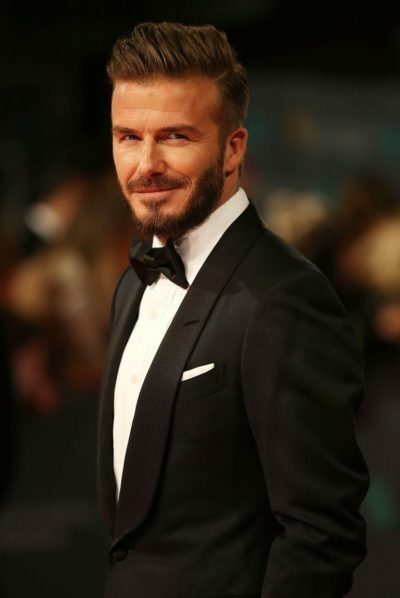 Beckham and his wife Victoria currently have four children – the last of whom was born more than four years ago. Four kids is quite a large number for any family, so fans might be surprised to hear that David would love more children if possible (we wonder what Victoria thinks!). Brooklyn Joseph was born in 1999 in London, Romeo James was born in 2002 in London, Cruz David was born in 2005 in Madrid and Harper Seven was born in 2011 in Los Angeles. 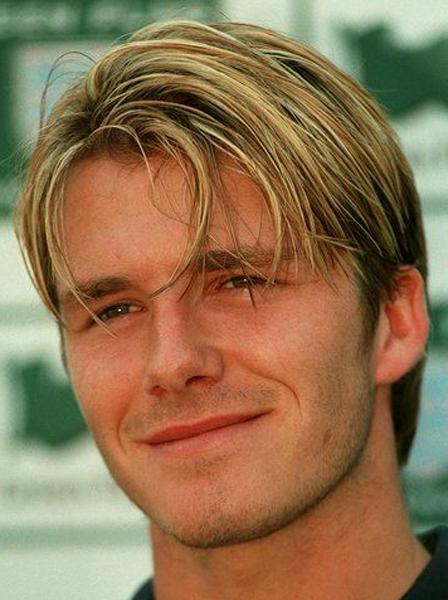 David Beckham suffers from a mild form of Obsessive-Compulsive Disorder (OCD). The disorder manifests itself through his need for everything to be strictly organised and arranged in pairs wherever possible. One example of his obsession is the three refrigerators that he keeps in his home. One of them is for food, the second one for salads and the third one for drinks. He has also claimed that his OCD is the reason why he keeps getting tattooed, since he is addicted to the pain of the needle. 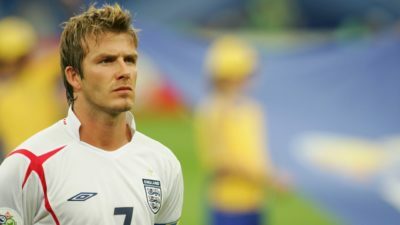 When poor David was still a footballer, he was continuously troubled by his England team-mates, who would scatter his footballing kit around the locker room. David also suffers from Ataxophobia and Ornithophobia. Ataxophobia is the fear of chaos, while Ornithophobia is the fear of birds. When he went to play for Real Madrid, David had to choose a new jersey number. His old number at Manchester United, #7, was already taken. Instead he chose to wear #23 because it was Michael Jordan’s number. We already know that David is a pretty generous guy thanks to all of the charity work he does. And naturally that generosity extends to his close friends and family too. In fact, he once bought wife Victoria an entire vineyard for her birthday! It’s located in the famous Napa valley, California and is only open to friends and family of the celebrity couple. Lucky woman! We’re sure David got some serious husband points with that particular present. 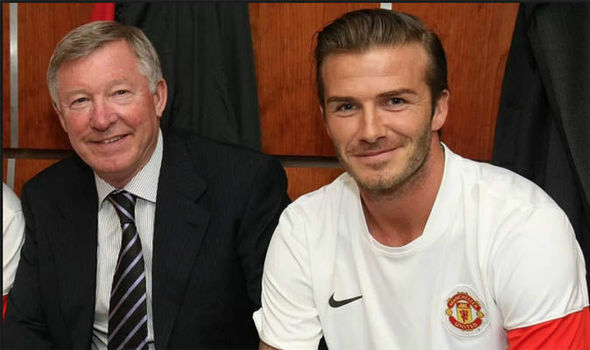 Beckham’s time at Manchester United ended in unpleasant circumstances when he was hit in the head with a shoe by Alex Ferguson. The pair had been arguing in the dressing room when Ferguson lashed out, but the incident made front page news thanks to the scar he left on David’s otherwise perfect face. Beckham left Old Trafford shortly after, and we can’t really blame him. 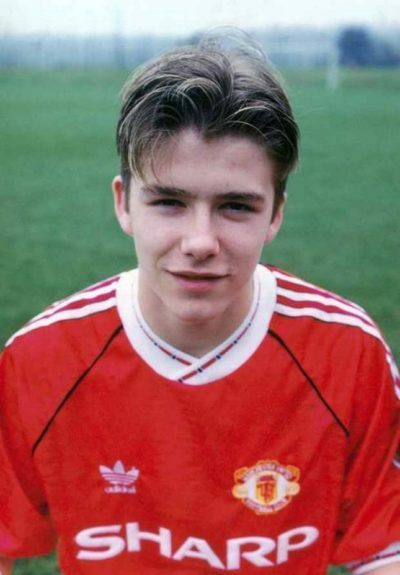 At age 11, Beckham won the coveted Bobby Charlton Soccer Schools National Skills competition. The win earned him a trip to FC Barcelona’s Nou Camp, where he drew the attention of a Manchester United scout while training with the Catalan’s youth team. The rest is history!